If you would like to apply to one of our programs then please click on the button to the right to download our application. 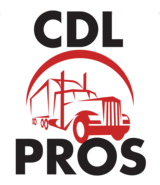 After you have finished filling out the application, you may either return it in person or you may email it to us at cdlpros@yahoo.com. If you have any question then please feel free to contact us during business hours. We are happy to answer any question you have. 816-918-5620. You’ve taken the first step in securing a future for yourself and your family by applying to one of Kansas City’s best CDL schools. You’re on your way to partnering with a highly qualified educational institution that can help you to make more money and advance your career goals. Any information you give our truck driving school remains strictly confidential. CDL Pros will never share any information we collect with any other sources or individuals without the express consent of you, the applicant.